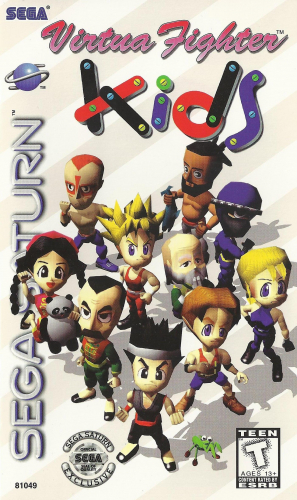 VIRTUA FIGHTER KIDS puts all of the action of VIRTUA FIGHTER into a pint-sized package. Pick a fighter and perform special moves at speeds 20% faster than VIRTUA FIGHTER 2. You can create customized combinations using the new Make-Your-Own-Combos mode. When you perform a spectacular move, you can watch it with a real-time instant replay. If you become a true master of the game, you will discover a variety of bonuses including some new movie sequences. 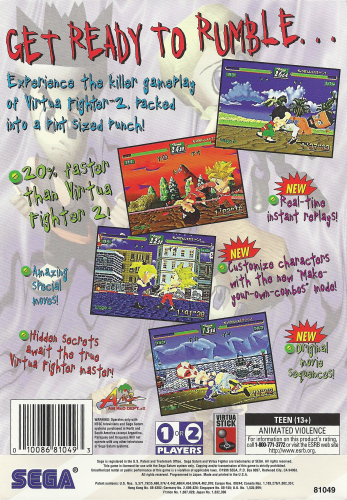 Become the toughest kid on the street with VIRTUA FIGHTER KIDS.